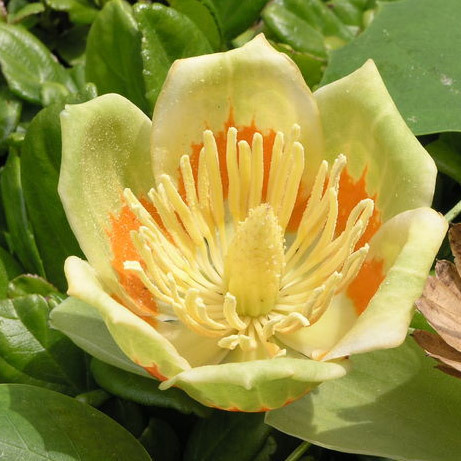 Buy Tulip Tree (Liriodendron tulipifera) online from UK supplier of ornamental garden trees. 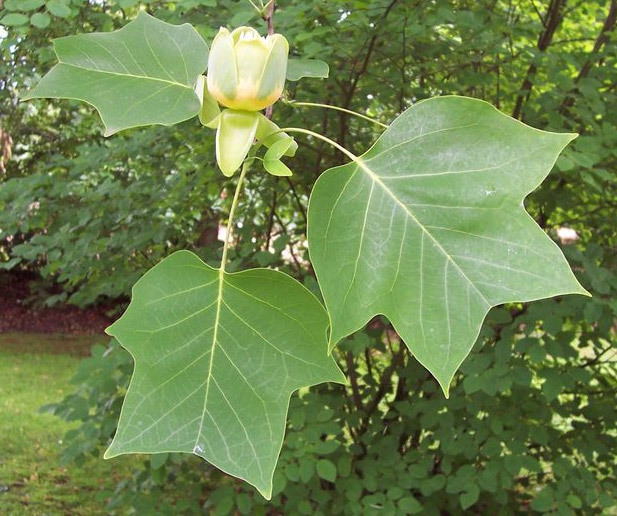 The Tulip Tree (Liriodendron tulipifera) is quite an outstanding tree and not one you can miss at maturity. Easily reaching over 30m, you will need a large garden or park to accommodate. It has received the RHS Award Of Garden Merit for many outstanding attributes not because it used its size and weight to bully them into it. 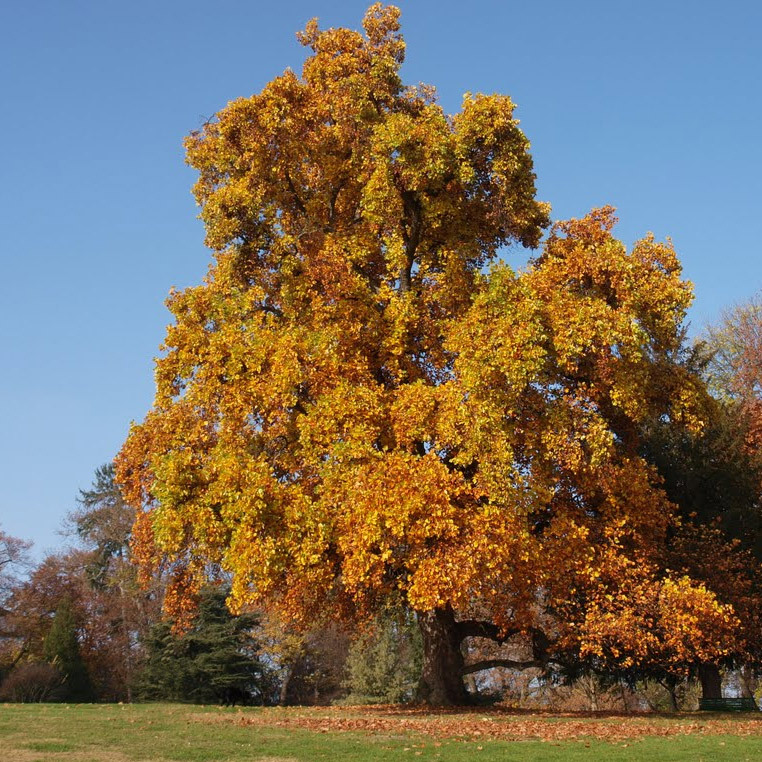 As with many Tulip trees, it tolerates urban pollution and is well suited for parks and large ornamental town gardens. Its conical shape also lends itself well to ornamental settings. Although the Tulip Tree is native to America, it still grows well and fast in Britain. This tree carries distinctive dark green leaves, in the shape of a tulip, hence its name. Autumn sees its foliage turning a stunning bright gold colour and the flowers will make a grand appearance in July. For best results plant in a full sun position with well draining soil as the Tulip tree really does not like to have its feet wet for any length of time. Although chalk tolerant best results will be had if planting in a more acidic soil. Reasonably maintenance free in pruning terms although an occasional thinning will promote new growth. 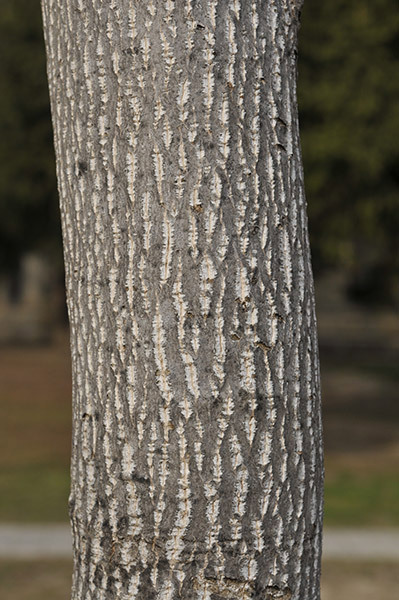 Definitely cut out and diseased, dead or crossing branches to maintain the health of the tree. Our Tulip trees are supplied at of height of between 1.20 and 2.40 metres and come in a container which means that the tree can be planted any time of the year and less risk of failure than either bare-root or rootballed trees. Tree height is very dependent upon container size and time of year. A larger container should be taller than a Tulip tree in a smaller container. We grow from August to August and so the closer to August we get, the closer to maximum size you should receive.